Tony Blair and Bertie Ahern, the former British and Irish leaders, spoke out on the 20th anniversary of the accord, which ended decades of sectarian violence on 10 April 1998. 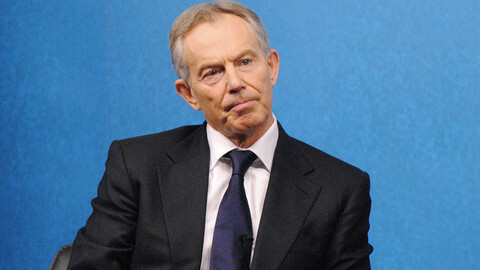 An open border between Ireland and Northern Ireland was key to the peace deal, "but when Brexit comes, the EU's external border will be there," Blair told the Irish Times newspaper. The Irish border issue was the "most acute" Brexit problem, he said. "I don't see how the problem can be solved unless Northern Ireland remains in the customs union and the internal market," Blair said, even though Britain has ruled out those two options. 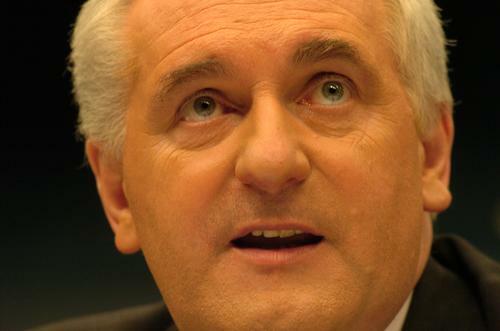 Ahern told British broadcaster the BBC that people would revolt against a hard border. "There never will be a border. There is not going to be a physical border across Ireland because if you tried to put it there you wouldn't have to wait for terrorism to take it down, people would just physically pull it down - the ordinary people," he said. Bill Clinton, the US leader 20 years ago, also spoke out on the Good Friday anniversary. An ongoing dispute over power-sharing between loyalists and republicans in Northern Ireland showed the fragility of the peace process, he said at an event at University College Dublin on Monday (9 April). "The whole thing [could] … fall apart and you will go back into the hell people have forgotten of the Troubles," he said. Clinton urged all sides to make "whatever compromises have to be made to minimise the damage of Brexit". Hillary Clinton, the former US first lady and secretary of state, also said in an op-ed in The Guardian, a British newspaper, on Tuesday that "we cannot allow Brexit to undermine the peace that people voted, fought, and even died for." "Reinstating the border would be an enormous setback," she said. 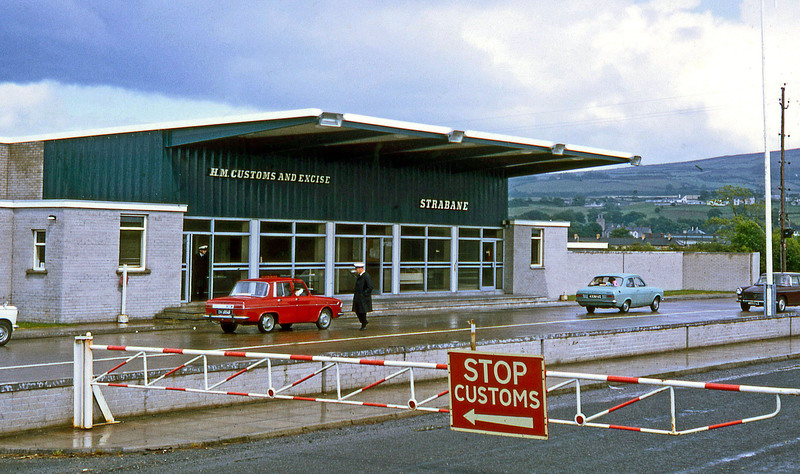 Britain's solution is to keep open the almost 300 roads that connect Ireland and Northern Ireland, but to impose a "virtual" or "cyber border" for goods and ID checks after Britain and Northern Ireland left the EU. If the UK was "unable to develop and realise a satisfactory cyber alternative" then "the whole island of Ireland" would have to "remain in regulatory alignment with the EU" to prevent a hard border, Phil Hogan, Ireland's EU commissioner, noted at an event in Ireland's EU embassy in Brussels on Monday. 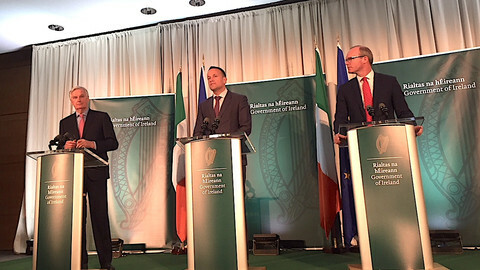 "Since the Good Friday agreement in 1998, the role of this border in the day-to-day life of our citizens has diminished remarkably," Hogan said. "But 20 years is a short time and the role of the border in our history, our attitudes, and, yes, our politics is still vivid - it's like the touch-paper of a firework," he added. 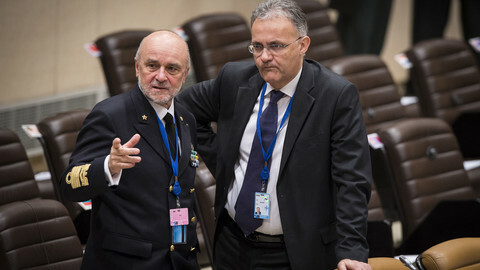 The commissioner indicated that talks on a future UK-EU free trade agreement would be adversarial in nature. 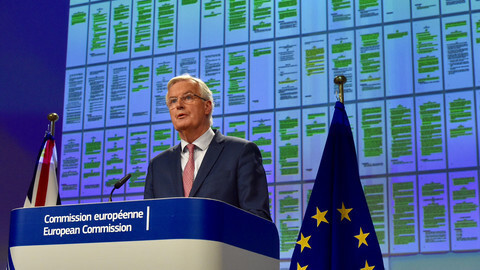 "The EU must … see the negotiation on the free trade agreement for what it is - a trade negotiation with a third country in which both parties will be trying to do the best for their citizens," he said. Ahern voiced regret about Brexit more broadly speaking. 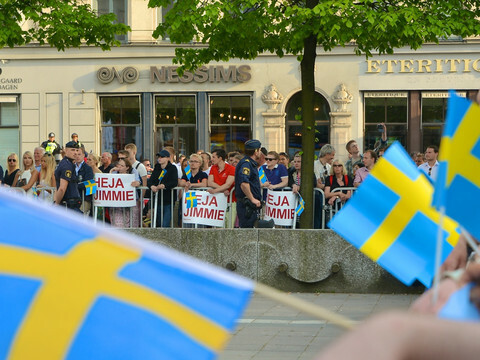 "It is difficult to believe that any country would wish to engage in a policy of divergence from their neighbourhood countries - particularly from 27 neighbouring countries. But that's the way it is," he said. The feeling was echoed by Blair, who noted that Brexit was the first time in 45 years, since the UK and Ireland joined the EU in 1973, that the two countries were going separate ways. 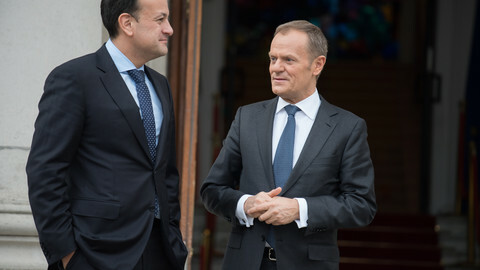 "The symmetry of relations between Ireland, the United Kingdom and the EU will be shattered by Brexit," he said. 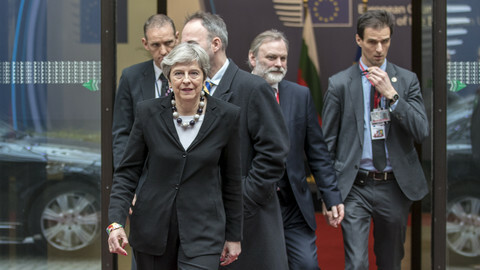 Brexit hardliners in British prime minister Theresa May's party have rebelled against plans for an EU 'customs partnership'.